That is sometimes true and sometimes not in good old California! One thing I know is a "for sure" each Spring... Our family traditions for Mother's day. We have always been big on getting together on Mother's Day in our family. Before I got married we would celebrate it with my mom, usually at El Torito eating their awesome brunch buffet and cut out some time for my Yiayia (grandma in Greek). As I got older one thing that never stopped was the getting together. Our family grew and we added wives and husbands, eventually grandchildren. 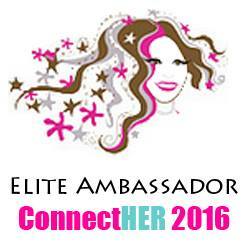 My mom was so big on traditions and doing so many things with us as a family that were both educational and fun... I have to carry that tradition itself on with my own family. I lost my mom when I was pregnant with my first kiddo. It was harsh. I hated it... I even asked myself... How could I do this? Bring a kiddo into this world, love her, have her love me and then one day know she would HURT so much and so deep knowing she would never be able to hug me physically again... BUT then I realized, there in that moment, 6.5 months pregnant, that I wanted to be just like MY MOM! I wanted to show my kids everything she showed me, I wanted to be as selfless as her in her love for our family, I wanted to do all the things that my mom did with us.. with my own kids. I wanted to show my baby in my belly that one day it would be sad but that the memories of the laughs, love and traditions that will carry on forever outweigh the moments of the expected sadness when a parent passes. But... that is legacy.. all part of who we are, why we are us and who we want to teach our kids to be like. So... with that said... CHEERS/YASU and HERE is to helping your family continue, start or just re-spark some time together that maybe will become tradition for you all too! Some of our most favorite things to do, that I now do with my family, is visit local hot spots that are exciting for everyone and also connect us with our earth! In SoCal we have so many amazing sights to see and places to go. 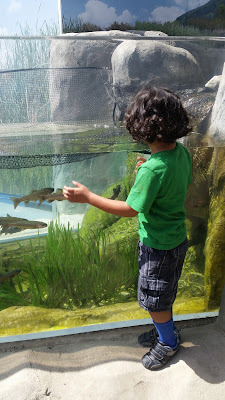 Both of my kids have so much fun at the +Aquarium of the Pacific . From education to hands on touch ponds, the Aquarium has something for everyone to enjoy. 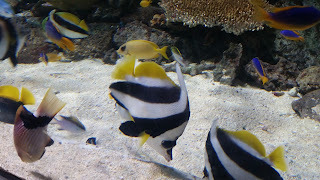 The Aquarium is very sensory friendly and if your child is like my son, on the Autism Spectrum, sometimes that matters one moment for sensory and another for a breakdown. 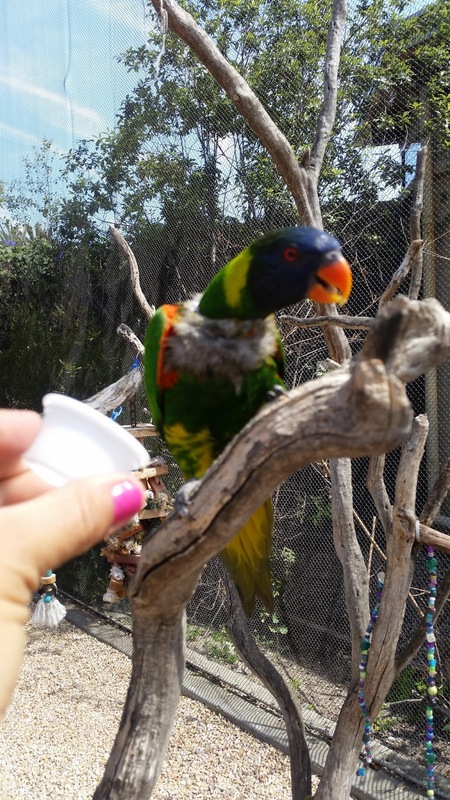 There is outdoor fun with the Lorikeets, sharks and rays as well as indoor sealife as well. 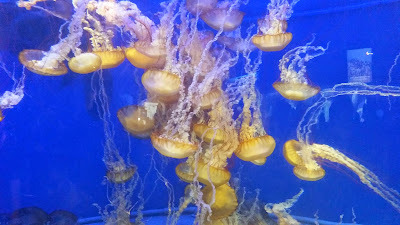 Our favorite part of the Aquarium Pacific are the Jellies! 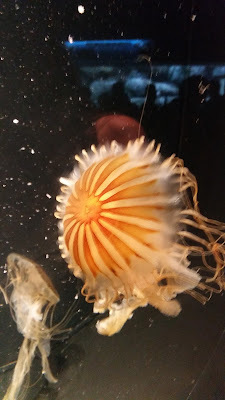 The Jelly Fish are so fascinating and they have so many kinds of Jellies on hand you can see some that glow, some that are tinier than a penny and some that are floating on their backsides! We also loved watching the Penguins. It is soothing to sit and watch them dive into the water, spin and almost show off as they swim around. So cute! Everyone will have a favorite part of the Aquarium and the best part about it... you will want to return for more since our Sealife is always changing the exhibits are updated and refreshed. In her memory and in partner with the amazing Aquarium of the Pacific, I am doing a giveaway, so you too can spend time with your family and create memories and maybe even start a new tradition! Enter below to win 4 tickets to the Aquarium of the Pacific - You can use them on Mother's Day or anytime after! Full Events Schedule at the Aquarium of the Pacific are listed HERE too, help you plan ahead. Enter to win but most importantly I hope you remember to tell your MOM how special she is to you on Mother's Day and every time you remember to. I am so grateful to my Mom for always being there for me, showing me I was number 1 in her life and loving me for me. Good luck to all who enter and wishing you all a HAPPY MOTHER'S DAY!